I read this article and found it very interesting, thought it might be something for you. The article is called 6 Hurdles To Building 44,000 Homes A Day and is located at https://archive.indiaspend.com/sectors/infrastructure/6-hurdles-to-building-44000-homes-a-day-12299. Less than seven years are left for Prime Minister Narendra Modi’s ambitious Housing for All scheme aimed at providing a home to all the urban poor by 2022—especially as cities grow and migrants flow in from distressed rural areas. 1. Cities are growing: Two Indian metros, Delhi and Mumbai were among the ten largest urban agglomerations in the world, as on 2014, while another, Kolkata is set to be among the world’s top fifteen by 2030, according to the UN. 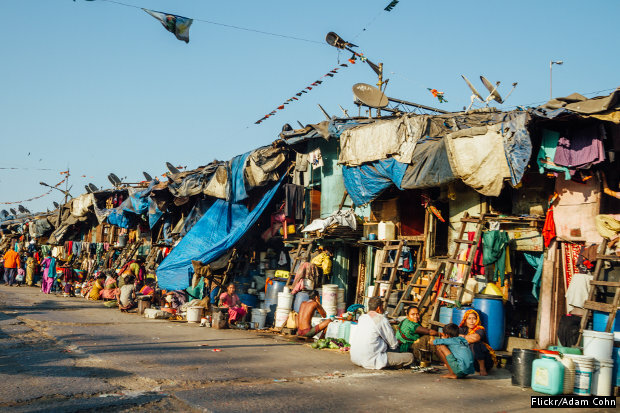 There were 0.9 million homeless people in urban India as per the Census data of 2011, in addition to a slum population of roughly 65 million. More than 90% of the ensuing housing shortage is constituted by what are called economically-weaker sections and low-income groups, according to government data. 2. A migrant-flood is coming: People from India’s distressed rural areas, home to 833 million people, according to data released by the Socio-Economic Caste Census (SECC) survey released earlier this month, are likely to flood into cities and towns in growing numbers as agricultural growth rates flounder. About 670 million people in rural areas live on less than Rs 33 a day, as IndiaSpend reported. India’s urban population is estimated to reach 600 million by 2031, up from about 380 million in 2011. Migrants make up a sizeable chunk of India’s urban population, last estimated at 35 per cent by the National Sample Survey Organisation in 2007-08. 3. Indian slum populations are high: About 17 per cent of urban India–or about 65 million people–today live in slums. While these data are reflected in the Census, on a globally comparable index, the proportion of urban population living in slums in India is high, as the chart below indicates. A critical issue that needs to be understood and firmed up before we start talking about the number of housing units to be built, is what sort or in sq. mts. plinth area are we talking about for the poor? Since land will be very difficult to come by or be very expensive, obviously high rise dwelling units will have to be built. But high rise buildings are expensive to maintain and run. Would urban poor be able to afford to live in high rise buildings? Is there any policy on these issues? Would the 100 smart cities the PM is talking about have design and space for the poor? These are very important issues which need policy and then a working strategy urgently. Since bulk of the urban growth will comprise the distressed migrant from rural India, the first challenge would be whether urban India can give a wage of ‘dignity’to the migrants? Housing would come much later. The way we pay our domestics and the state of urban infrastructure, it is certain that urban India is headed for humongous slums.